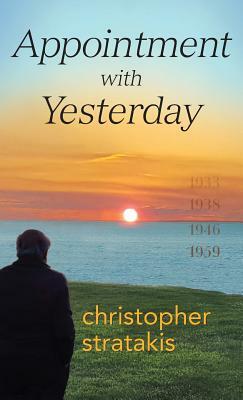 Filled with heartbreaking and heartwarming stories of love, devotion, disenchantment, and dashed dreams, Appointment with Yesterday is, ultimately, the story of hardships overcome and a determined boy's journey toward finding his destiny. He has written and published several articles, lectured on professional and historical subjects, served as Legal Advisor to several non-profits (pro bono), and was an arbitrator in maritime disputes. He is the author of Mnimes "Memories" (2010), a book of essays, short stories, and poems that he wrote as a teenager. In 2015, he co-edited Chians on Parallel Roads, a book published by Panchiaki "Korais" Society of New York. In recognition of his extensive community involvement, he has been the recipient of several awards from religious, governmental, and educational institutions.